Welcome to the companion site for Remaking Policy. One of the most persistent puzzles in comparative public policy concerns the conditions under which discontinuous policy change occurs. What causes a burst of change that is larger than normal, or faster, or both? 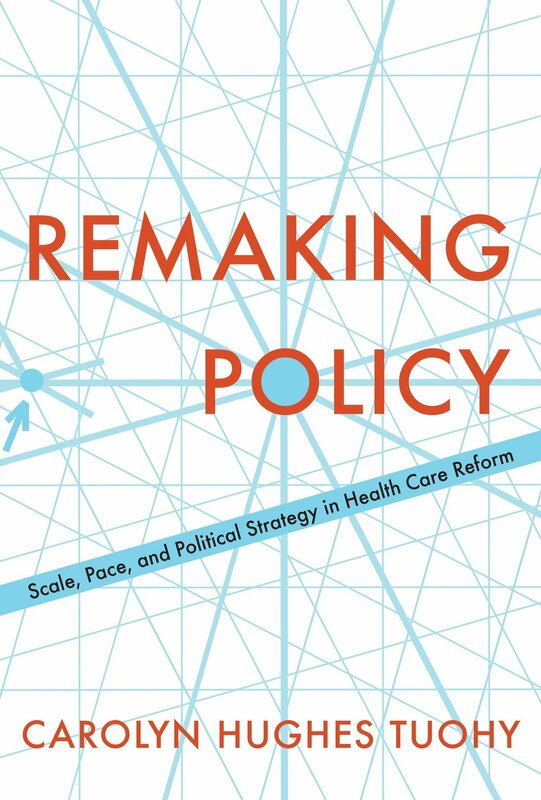 In my new book, Remaking Policy: Scale, Pace and Political Strategy in Health Care Reform, I advance a new approach to understanding the relationship between political context and policy change. The Table of Contents, as well as a preview of the book, can be found on the publisher's site. Because this is a long book, aimed at a range of audiences, I have prepared this introduction and set of guides to reading the book, depending on the particular interest of the reader. Focusing on health care policy but with an eye to the policy process at large, Carolyn Tuohy argues for a more nuanced conception of the dynamics of policy change, one that distinguishes between the opening of opportunities for change and the magnitude of the changes that then occur. Four possible strategies emerge: large-scale and fast-paced (“big bang”), large-scale and slow-paced (“blueprint”), small-scale and rapid (“mosaic”), and small-scale and gradual (“incremental”). As Tuohy demonstrates, these strategies are determined not by political and institutional conditions themselves, but by the ways in which political actors, individually and collectively, read those conditions to assess their prospects for success in the present and over time. Remaking Policy is available through the University of Toronto Press. A book launch was held in Toronto on October 16, 2018.